On Wednesday, the Action Center on Race & the Economy (ACRE) held a press conference to release the new “POLICE BRUTALITY BONDS: How Wall Street Profits from Police Violence,” report showing the estimated cost of police misconduct for taxpayers in several U.S. cities and counties around the country, and naming several well-known companies who continue to profit from police violence. 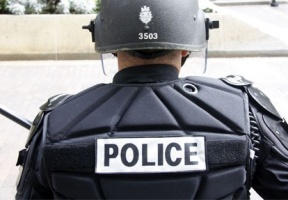 Police violence and misconduct cases are on the rise throughout cities across the United States wreaking havoc particularly on communities of color, causing debt, and leaving taxpayers to pick up the tab while banks and investors profit. The report features 12 cities and counties, as well as five case studies on: Chicago, Cleveland, Lake County (Indiana), Los Angeles, and Milwaukee. Across these five municipalities, ACRE estimated $1.87 billion in public debt stemming from police violence and the excessive settlement and judgment costs. Of the $1.87 billion in costs related to police brutality bonds, more than half – $1 billion – was investor profit. The interest and service fees on these bonds can nearly double the cost of the original settlement—leading to substantial profit for banks, investors, and a financial burden for everyone else. 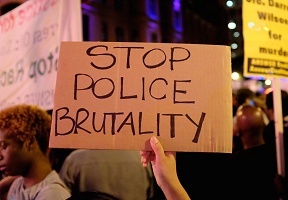 ACRE is encouraging the public to sign a petition calling on elected officials, cities, police and Wall Street to end policies that facilitate cycles of economic and physical violence in Black and Brown neighborhoods. The group also plans to push for public hearings, and eventually, enshrined policy changes that improve training and financial accountability.